For some of you drinks and Shakespeare may sound like a companionable way to spend an early fall afternoon. For you, there is ShakesBEER, NYC’s original Shakespearean pub-crawl. New York Shakespeare Exchange, creator of the viral smash The Sonnet Project, has scheduled the Hell’s Kitchen event for Saturday, September 12 and Saturday, September 19. Start off at Landsdowne Road, where check-in begins at 2:30pm move on to Perdition, The Gaf, and conclude the festivities at The Waylon. Scenes from Shakespeare plays break out at each location, as actors stand shoulder-to-side and cheek-by-jowl to the audience, drawing them in to each scene. Samplings from As You Like It, Much Ado About Nothing, Merry Wives of Windsor, and Henry IV, Part 1, are included in the three-hour pub crawl. This season’s Shakespearean bash features plenty of romance, a few mistaken identities, and everyone’s favorite tippler Sir John Falstaff. The players include Carey Van Driest, who also directs; Chris Thorn; Brendan Averett; Shane Breaux; Elizabeth Neptune; Sarah Nedwek. Besides Van Driest, Eva Gil, and Ross Williams take on directorial duties for September’s ShakesBEER, which is produced by Kim Krane and Cristina Lundy. Tickets are available at www.shakespeareexchange.org or at the door. Advance booking is strongly recommended. Pipeline Theatre Company tells a ghost story in the world premiere of The Gray Man by Andrew Farmer, opening September 24-October 18 at Walker Space. In The Gray Man, Simon is haunted by grief, a little girl who speaks of missing children and a familiar figure from the stories his mother told him outside his tenement window. The production will be directed by Andrew Neisler, with an original score by composers Mike Brun and Chris Ryan. The Gray Man stars Tahlia Ellie, Daniel Johnsen, Katharine Lorraine, Claire Rothrock, and Shane Zeigler. Tickets will be available for purchase online at www.pipelinetheatre.org. Dzieci Theater Company presents a site-specific adaptation of Shakespeare’s Macbeth. Makbet, adapted from and directed by Matt Mitler, begins performances on Thursday, October 1 for a limited engagement through Sunday, October 18. 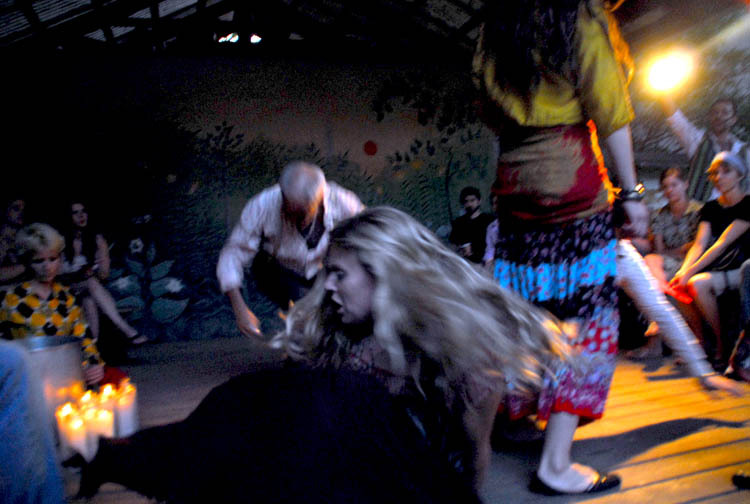 Dzieci’s Gypsy tribe greets you with song and dance, drinks and divination, at Sure We Can in Bushwick, then embarks on their wild, whirlwind of a ritual. Shakespeare’s “Scottish tale” comes alive in this gypsy version, employing haunting folk songs and chants from Eastern Europe. Dzieci explores the very essence of theatre and storytelling in their exuberant rendition of Macbeth, with a handful of actors taking turns in various roles to recreate the dark mood inherent in the classic drama. The cast of Makbet features Megan Bones, Yvonne Brecht, Ryan Castalia, Felicity Doyle, Timothy Garlid, Golan, Jesse Hathaway, Su Hendrickson, Polina Ionina, and Matt Mitler. Please visit http://dziecitheatre.org/ to learn more about Makbet. At the Brooklyn Performing Arts Center, Michael Feinstein opens the 2015-16 season with The Gershwins and Me on October 24th. In a full season of performances, The Vienna Boys Choir, on December 12th, and The Colonial Nutcracker, on the 13th, are BPAC’s holiday offerings. Since its founding in 1954, Brooklyn Center for the PerformingArts at Brooklyn College has presented outstanding performing arts and arts education programs, reflective of Brooklyn’s diverse communities, and at affordable prices. Each season, over 65,000 people attend performances at the 2,400 seat Whitman Theatre; of these attendees the 45,000 schoolchildren from over 300 schools who attend their SchoolTime series represent one of the largest arts-in-education programs in the borough. 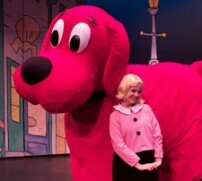 Children’s programming is a large part of the Brooklyn Center’s mission, with productions of Clifford the Big Red Dog™ – LIVE! on April 17th and Alexander, Who’s Not Not Not Not Not Not Going to Move on May 15th as examples of what’s on tap. Visit BrooklynCenter.org to learn more about the season and ticket options. Alexander Hamilton was this country’s first banker-in-chief, a job which the young revolutionary fulfilled with the same brilliance and passion of all his endeavors. We commemorate him on our ten dollar bill, but are largely unaware of his contributions to his country of choice –yes, he was, like so many of us, an immigrant. Alexander Hamilton’s life played out on the broad stage of a nascent United States. 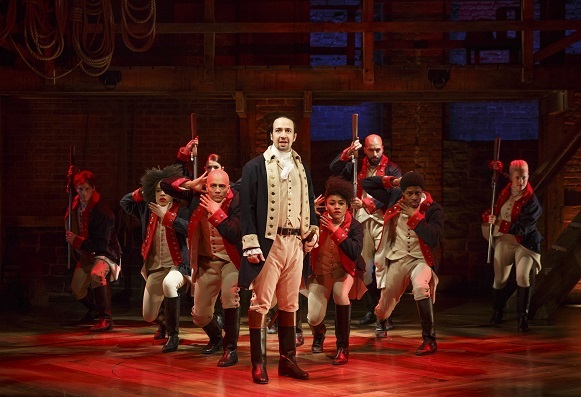 Lin-Manuel Miranda has put him center-stage in the radically new bio-musical, Hamilton, which recently transferred from the Public to the Richard Rodgers in an open run. The trip uptown from Astor Place has only given Lin-Manuel Miranda’s Hamilton a bigger stage on which to play out its amazing history of the founding of the United States. The stage at the Richard Rodgers should be familiar to Lin-Manuel Miranda since his Tony winning In The Heights was there for nearly three years, with Miranda in the lead as Usnavi for a good chunk of that time. Aaron Burr (Leslie Odom, Jr.) advises Alexander early on to “talk less, smile more.” Eventually, Alexander Hamilton, despite his contentious personality. 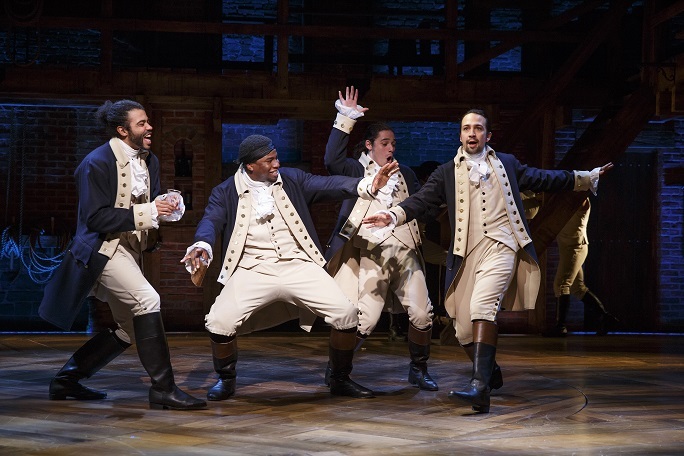 forges a near miraculous agreement with Thomas Jefferson (Daveed Diggs) and James Madison (Okieriete Onaodowan). The Congress approves a unified central bank under which the new democracy flourished. Alexander Hamilton was nothing if not determined. As he and the Marquis de Lafayette (Daveed Diggs, again) put it, “We’re immigrants; we get things done.” Hamilton gains General Washington’s trust because he never gives up on his principles. Hamilton’s wife, Eliza (Phillipa Soo), and her sister Angelica (Renée Elise Goldsberry), from the prominent Schuyler family, are both devoted to him. Angelica is his intellectual equal and a champion of his ideas. Their sister, Peggy (Jasmine Cephas Jones) looks like she, too, fell under the spell of his charismatic drive. Alexander Hamilton was something of a lady’s man, it seems. In the course of some three hours, the United States emerge from the colonies, America elects its third President– Thomas Jefferson, who wins the 1800 election against Burr with Hamilton’s endorsement–, and Burr is embittered by his failure to prevail. All this history unravels in anthems of rap and hip hop, pop and love songs. King George (Jonathan Groff) laments his unfaithful colonies in a British pop tune mode. This tuneful sampling is a brilliant reflection of the spirit of revolution and renewal that Hamilton (and the period it depicts) represents. The outsider’s story is America’s story. We are a nation, like Alexander Hamilton, of people who came from elsewhere to succeed, or as a Hamilton song puts it get “My Shot,” here. Hamilton, under Thomas Kail’s direction of the no-less than brilliant cast and with Andy Blankenbuehler’s choreography for the excellent ensemble of “back-up” dancers and players, is the most entertaining history lesson ever devised. Hamilton is no less than genius! Also, see what I had to say about Hamilton at VevlynsPen.com. 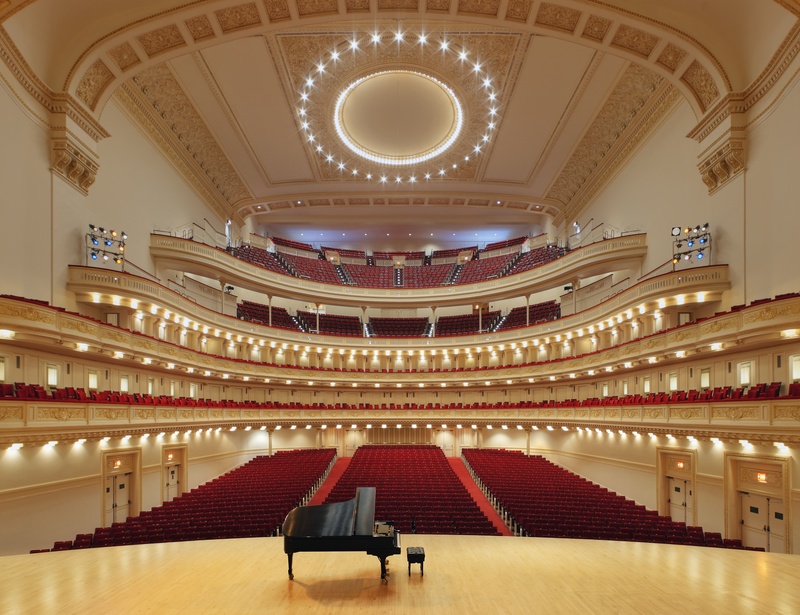 YPHIL – International Philharmonic Orchestra presents Concert for Global Peace with Jose Luis Gomez, Conductor and Alexander Markov, Violin on September 27 at Carnegie Hall features 100 young musicians from 74 lands. The orchestra will perform on the same day in United Nations Week when their countries are represented at the United Nations during the General Assembly meetings. 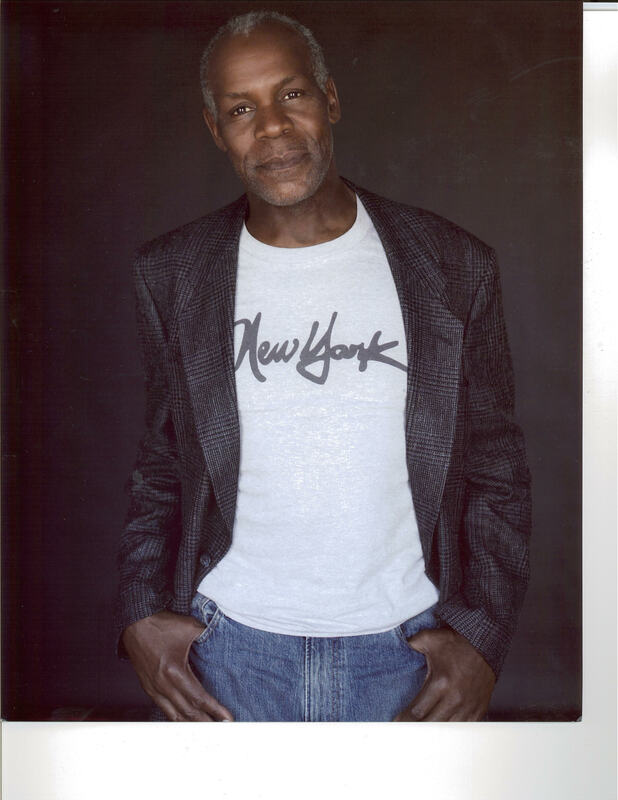 Activist, philanthropist, humanitarian, actor and producer, Danny Glover is bringing his star-shine as host for this event. Glover is known for his role in the Lethal Weapon film franchise, as well as for the indie films he’s produced and in which he’s starred. For the YPHIL it took “practice, lots of practice” to get here. You and I will just hop the 57th Street Crosstown. From 1998-2004, Glover was a Goodwill Ambassador for the United Nations Development Program, focusing on issues of poverty, disease and economic development, and he currently serves as UNICEF Ambassador. After his Broadway debut in Fugard’s “Master Harold…and the Boys,” director Robert Benton cast Glover in his first leading role in 1984’s Academy Award-nominated Best Picture, “Places in the Heart.” The following year Glover starred in two more Best Picture nominated films: Peter Weir’s “Witness” and Steven Spielberg’s “The Color Purple.” His career in television has included Emmy nominated performances in shows such as HBO’s “Mandela” and the mini-series, “Lonesome Dove” to just touch on some highlights. First up, and just around the corner, chronolgically speaking, is a festival of 10-minute plays celebrating alternative casting. On August 27th and 28th, the LEELA NY Theatre Festival offers two programs of short short plays featuring non-traditional casts at Centro Espanol. The programs in this inaugural year are hosted by renowned dancer and choreographer, Gabriela Garcia and actress Irene Turri, each in turn for the two nights of festivities. Actors, and their audiences, are encouraged to go beyond type– gender, race, accent– to discover new perspectives that exceed traditional expectations. The artists are asked to show a reality that is not generally portrayed in media, film, or theater. We live in strange (and perhaps perilous) times. There will be things we need to know and wish we didn’t, and then there are the things we need to know that have yet to be revealed. 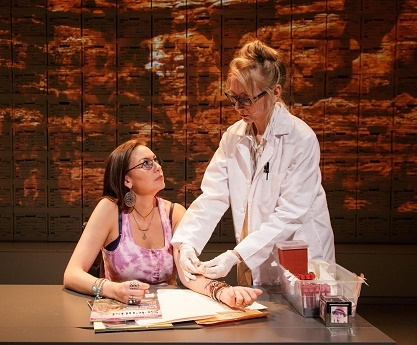 The New York City premiere of “Informed Consent” at Primary Stages by Deborah Zoe Laufer and directed by Liesl Tommy. The play features Pun Bandhu, Tina Benko, Jesse J. Perez, DeLanna Studi, and Myra Lucretia Taylor. Photo (c) 2015 James Leynse. 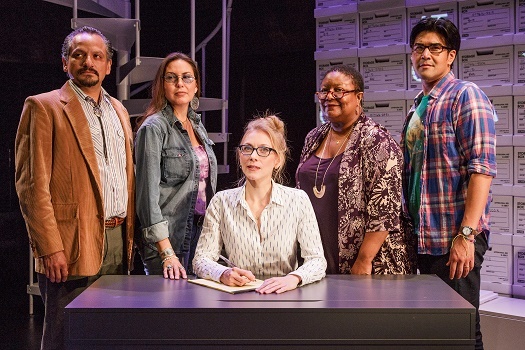 In Informed Consent, Deborah Zoe Laufer’s new play directed by Liesl Tommy and co-produced with Ensemble Studio Theater at Primary Stages at The Duke through September 13th, facts contradict beliefs, as they so often do. Who we are is part of a greater story than the sum of its parts. We are genetic material (a key component of the premise of Informed Consent) and our ideas about ourselves, and the memories we have formed, and so much more. Jillian Elliot (Tina Benko), a socially awkward genetic biologist, seizes an opportunity to test blood samples of an isolated tribe of Native Americans. The drama is based on actual events, and was commissioned by EST under its Sloan Foundation Science and Technology Project to explore questions about where the rights of individuals intersect with those of scientific exploration. The New York City premiere of “Informed Consent” at Primary Stages by Deborah Zoe Laufer and directed by Liesl Tommy. Pictured DeLanna Studi, and Tina Benko. Photo (c) 2015 James Leynse. Members of the tribe are dying in disproportionate numbers of diabetes, and it is Jillian’s mission to see if she can find the causes and a way to stop this scourge. Her intent is mostly scientific–that is dispassionate and detached; although her unemotional objectivity may have an underlying ulterior motive. She is looking for a DNA correlation that may help her solve her own medical issues. Early dementia took her mother’s life at 36, when Jillian was just 7; she fears a similar fate for herself and her daughter, Natalie (DeLanna Studi.) Jillian, of course, wants to find out what is in store for them. Her husband, Graham (Pun Bandhu) would rather not know. Jillian circumvents the rules set up for her study by her boss, Dean Hagan (Myra Lucretia Taylor), and her colleague at the university, Ken (Jesse J. Perez). Ken had worked to gain the trust of the tribe; Jillian relies on Ken’s friendship with Arella (Danna Studi, again), a leader among the tribe, to convince the elders to participate in her project. 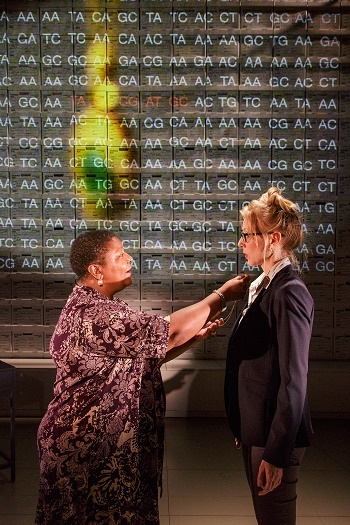 The New York City premiere of “Informed Consent” at Primary Stages by Deborah Zoe Laufer and directed by Liesl Tommy. The play features Myra Lucretia Taylor with Tina Benko. Photo (c) 2015 James Leynse. Jillian’s insensitive misuse of what the tribe considers its “sacred” blood does not lead to a cure. She clearly has done no good. Her studies contradict the tribe’s origin story, but has she done substantive harm? Isn’t it in the nature of scientific inquiry to find new narratives? Pit science against faith, ignorance against knowledge, memory against loss, trust against betrayal and inclusivity against tribalism: can they compare? Are they part and parcel of the same questions? Do they form a connection? The many interesting, even alluring questions posed in Informed Consent, simply lose their thread. The wrong question can lead to scientific discoveries, but it can also lead to non-sequiturs and dead-ends. Informed Consent is structured as a tale, narrated by the characters and then enacted in small scenes. The actors are charming enough to hold the attention, even as the story–and our allegiances– meander. For more information about Informed Consent, please visit PrimaryStages.org. It is in the nature of memory to distort, however Shows for Days filters Douglas Carter Beane’s recollections of his teens in Redding, PA through a lens clearly. The play, at LCT’s Mitzi E. Newhouse Theater through August 23rd, is bright, shining and upbeat. Patti LuPone in a scene from the play written by: Douglas Carter Beane, directed by Jerry Zaks. Photo by Joan Marcus. Car (Michael Urie) narrates and illuminates on a bare yet cluttered set by John Lee Beatty. (You’ll see what we mean when you go to see the show.) Beane’s play is lighter and much funnier than say, a Tennessee Williams memory play, but it serves the genre well. Mitzi E. Newhouse Theater. Dale Soules and Patti LuPone. Costumes by William Ivey Long. Photo by Joan Marcus. In Shows for Days, Car joins the devoted coterie of players whom Irene (Pattu LuPone) directs, bullies, cajoles, mesmerizes and leads in a dizzying artistic passion. Maria (Zoë Winters), Clive (Lance Coadie Williams) and Damien (Jordan Dean) are lovingly caricatured. They are actors in a small-town, or rather a shrinking town. Their ambitions are Broadway; their reality is the abandoned storefront that is home to Sid’s (Dale Soules) and Irene’s community theater. Michael Urie does not let down his winning charm for a single moment. 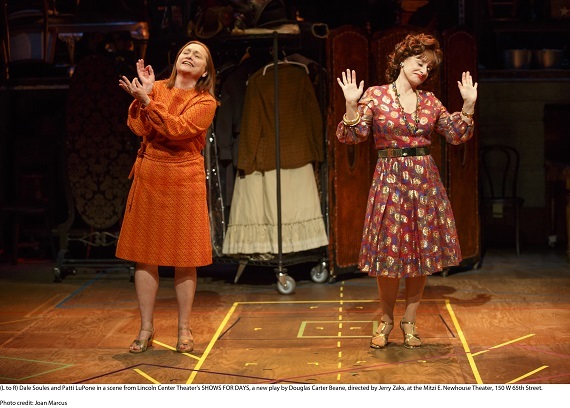 Fans, like us, of Patti LuPone will love Irene despite or maybe because of her conniving ways. By the second act, Shows for Days really hits its groove. Car’s memory play and his remembrances turn more touching, lyrical and recognizable. Hip-hop can be clever and expressive. Lin-Manuel Miranda definitely is both clever and expressive. In fact, he can be positively brilliant. Hamilton, a Broadway transfer from The Public now at the Richard Rodgers Theater, is a historical hip-hop musical by Miranda. In it, the Founding Father is seen as fulfilling the American dream, as an an ambitious, self-taught immigrant. Alexander Hamilton’s vision for his adopted land was to help create its financial system and sponsor its Constitution and support a strong federal government. More and a review after the opening….